Abbott Nutrition metabolic medical foods are designed to help meet the specialized nutrient needs of patients who have an inherited metabolic disorder. The formulation and nutrient composition of our metabolic medical foods are based on clinical research findings and recognized nutrient needs for growth and maintenance of nutrition status for infants, toddlers, children, and adults. The Flavis Low Protein range contains that all-important ingredient that we believe has been missing from low-protein products available until now… flavor. Here you can find out about our products, ingredients, preparation and much more. Try our recipe collection that has been specially created to meet your nutritional needs. We are the diet food shop. We are a provider of medically necessary food. 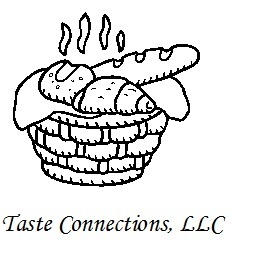 We offer selections in pastas, frozen foods, cookies, crackers, baking and flour mixes, breads, sauces, cereals, etc. We are continually searching for the special request of our customers. If it is out there, we will find it! For more than 50 years, Mead Johnson has been a pioneer in the field of specialized nutrition for inborn errors of metabolism. Today, the company commercializes several metabolic formulas designed for the dietary management of specific conditions, including phenylketonuria, maple syrup urine disease and homocystinuria, among others. PKU Perspectives was formed to share with all PKU families and those on low protein diets, the convenience foods we have learned to enjoy. After preparing meals for two PKU children of our own and an adopted handicapped grandchild with PKU for more than thirty years, we have discovered that convenience is most appreciated when you must prepare two meals at a time. PKU Perspectives is a for profit company. 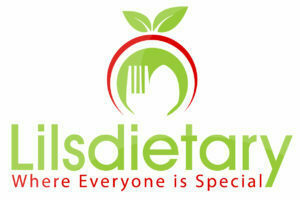 We employ many individuals who have a deep interest in providing products for special dietary needs. Our products are very specialized in that they are not mass produced. As with any industry, there are price increases with raw goods and products. We have kept our prices as low as possible. We have had issues with product availability and delayed shipping in the past that was due to unfortunate circumstances that were out of our control. We appreciated our loyal customers who have been patient with us during this difficult time. All of our products are readily available now and orders are being shipped out within a timely manner. We look forward to offering new low protein products that will be available soon! We work with many different types of customers. Retail, Cash, Credit Card, Paypal, your insurance program, state programs and many others. Many of our customer's do not have access to readily available low protein products that may be more conveniently located near you. We offer these products to our customers as a service. As we are a small company we do not have access to competitive big box pricing. We make a very small marginal profit off of these items. Shipping such dry and cold items do add a cost to having these products readily available. You may find these products available closer to you and prices better suited to your budget and we encourage you to take advantage of that. POA Pharma is a boutique pharmaceutical and healthcare company that designs clinic nutrition products for patients with inborn errors of metabolism and other chronic conditions. Our mission is to be responsive and fill any gaps that exist. We value the feedback given by clinicians and aim to create any products that are missing. Solace Nutrition prides itself on its main reason for existence – the advancement of disease management through nutrition. Our products are designed by healthcare professionals specialized in the area of disease for which our products are intended. Our team is consistently developing scientifically proven products that fill the unmet need of the many people struggling with inborn errors of metabolism and chronic disease management. Our products are in concentrated & convenient forms using only safe, clinically-validated ingredients that are manufactured in FDA registered & audited facilities.